If you ask me, there are few things cuter than brothers in matching shirts. 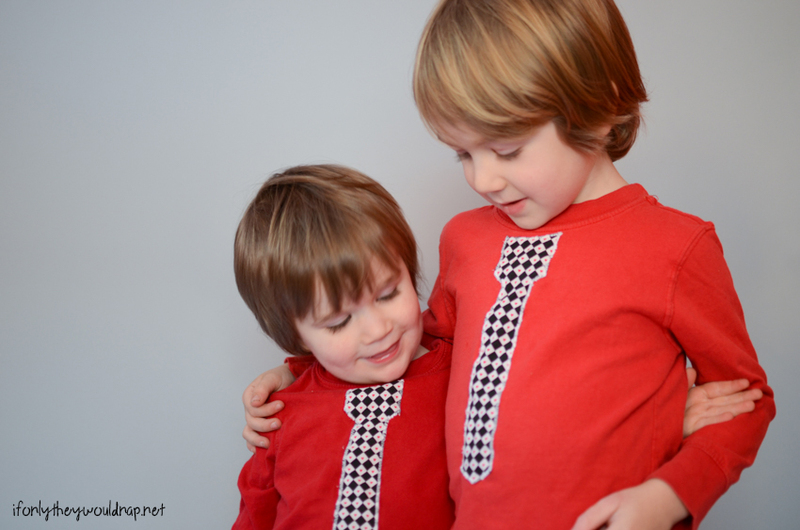 For Valentine’s Day this year, I made my boys these super adorable tie t-shirts, but how great would these be for Easter as well?! 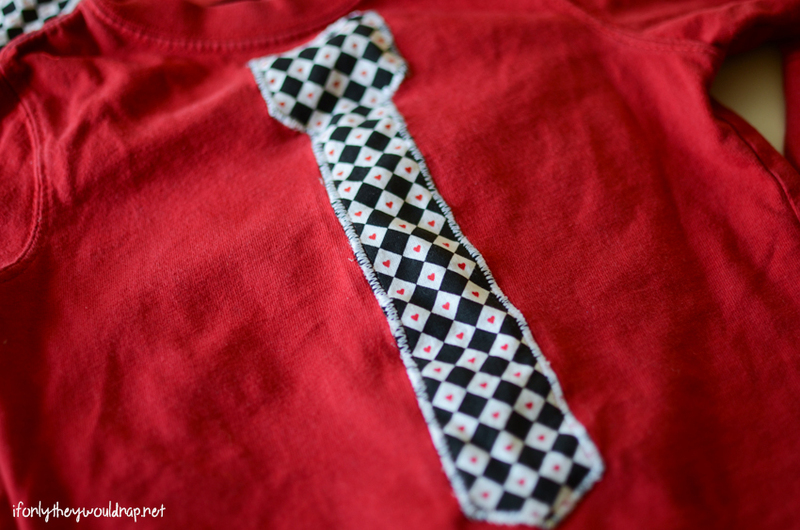 You can whip one of these up with this free tie appliqué pattern! 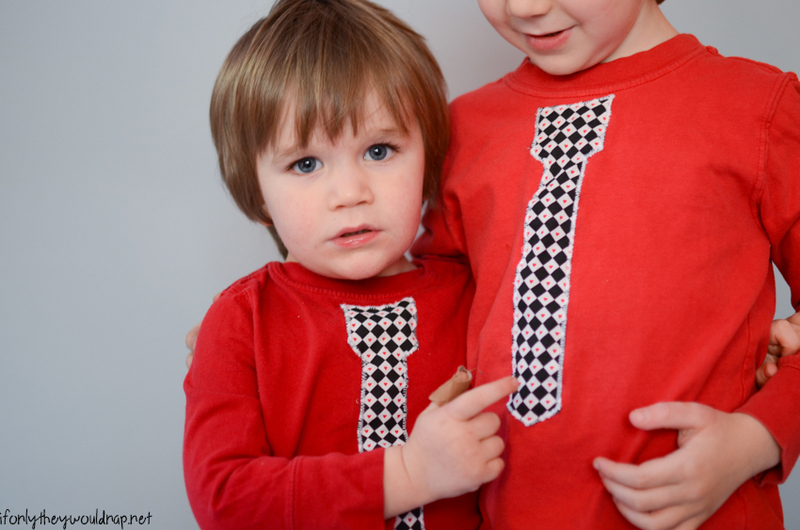 These t-shirt ties are easy to make and you can make them for any holiday – or even everyday wear! 1. 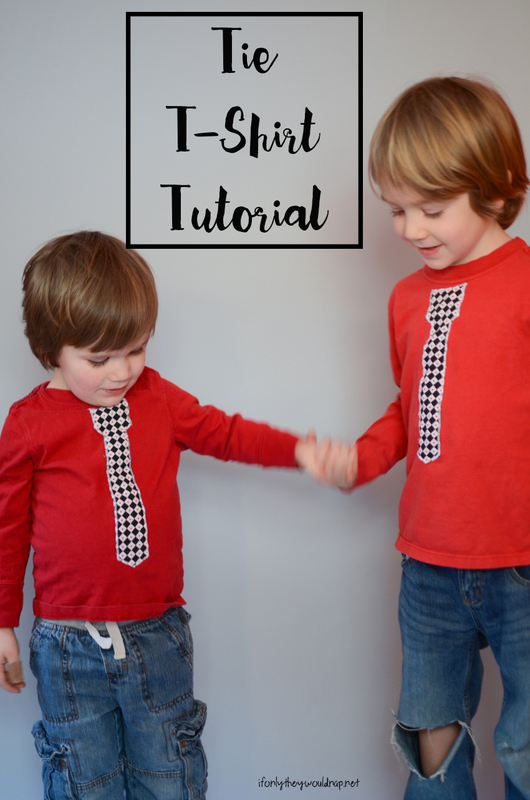 Download and print out the Tie Tshirt Pattern. Use it to trace and cut your tie(s). 2. 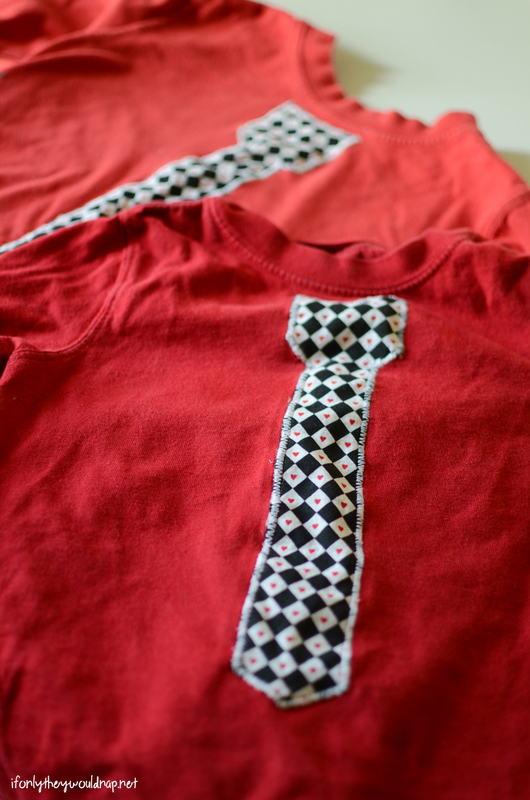 Pin the fabric onto the front of the t-shirt. The top of the tie pattern has a curve that follows the neckline, so you can pin it right underneath the neck. 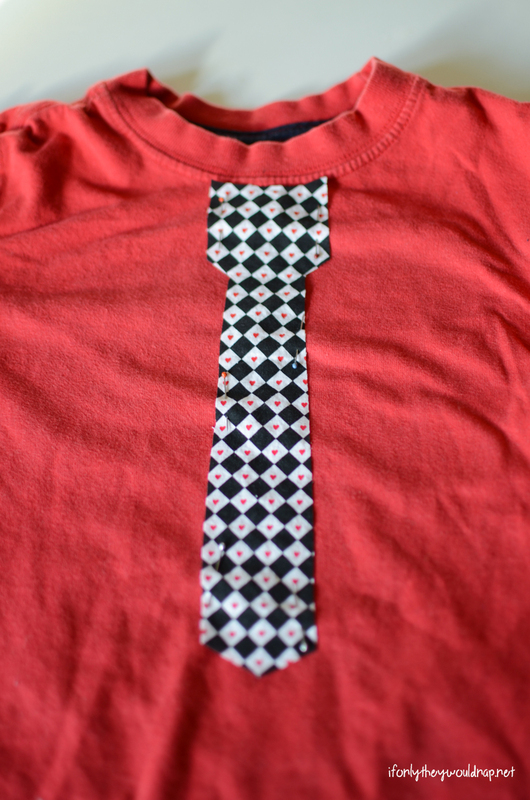 Optional: fuse your tie fabric to the front of the T-shirt using Wonder Under – this will help your tie to stay in place without shifting. 3. 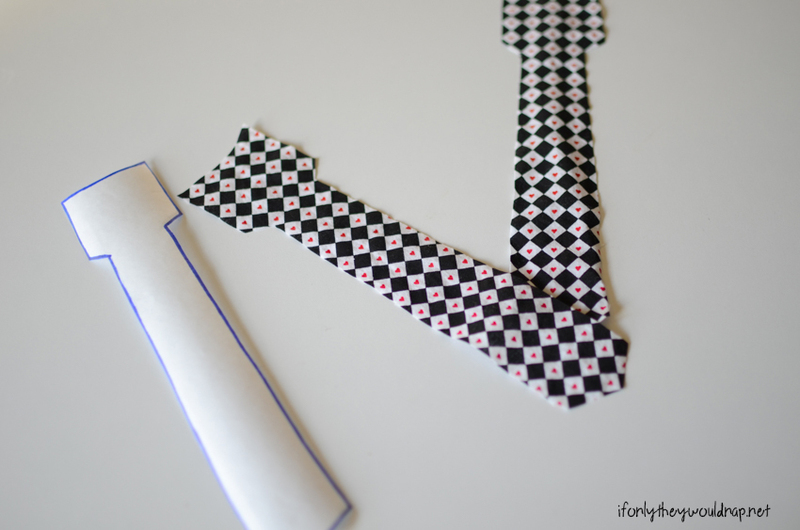 Using a wide but short zig-zag stitch, sew along the outside of the tie. Keep the tie fabric flat. I like to go over my stitching a second time to make sure the fabric is secure in place. Tip: when stitching the tie, you’ll have to finagle your shirt a bit. I recommend beginning on one side, sewing down to the bottom. Then, start back at the top and sew to the bottom along the opposite side. I used the same pattern for both my two and four year olds, without changing the size, but you could easily scale the pattern up or down to make it suited for an older or younger child. Then pop those shirts on your little cutie patooties! And share your photos with me on Instagram, so I can see your sweet boys in their tie tees. 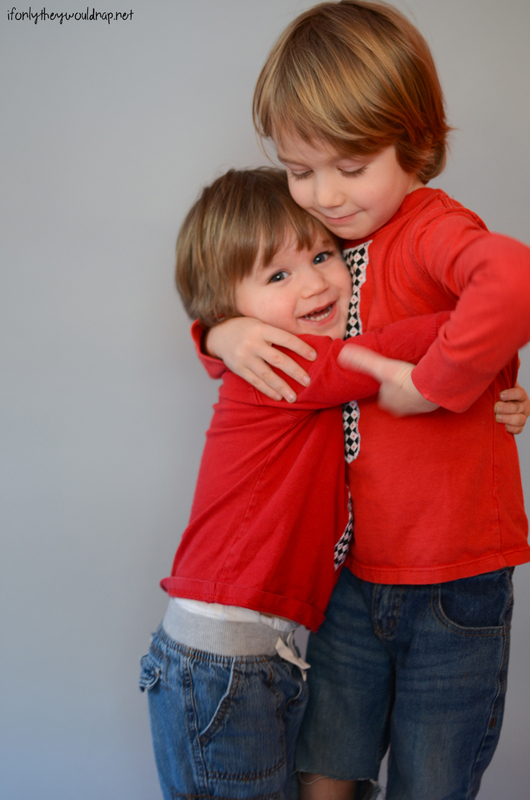 Brothers in matching shirts – seriously, is there nothing quite so adorable?! 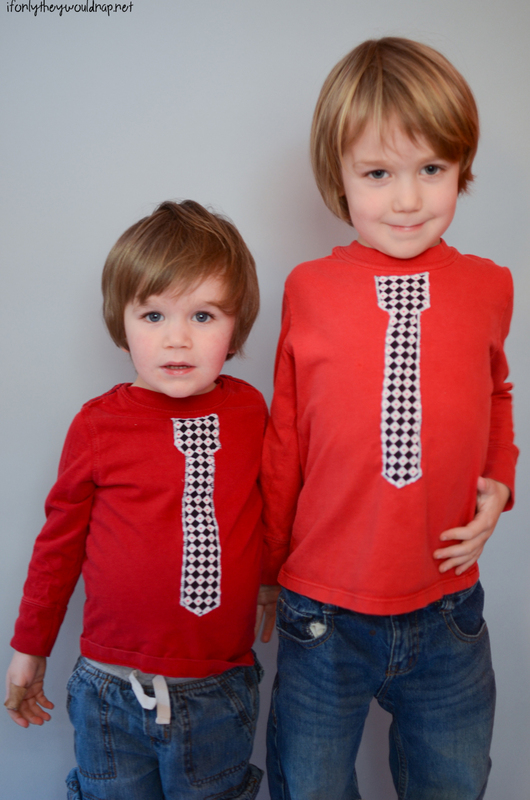 Now go make your little men some adorable tie T-shirts!